B&B-AGEMA attends the conference and presents on “Development of an Air Cooled Borescope for Flame Monitoring in an Experimental DLE Hydrogen Combustor”. President und founder of B&B-AGEMA, Prof. Dr.-Ing. Dieter Bohn, presents on “Damage of gas turbines” at VDI Wissensforum . B&B-AGEMA attends the conference and presents on “Design Exploration of high efficient steam turbine airfoils” based on a multidisciplinary design exploration including B&B-AGEMA Software (ATF 1D, ATF 2D, Profigen) as well as Siemens Plm Software (Siemens NX, STARCCM+, Heeds mdo). B&B-AGEMA will present on “AN INNOVATIVE FLEET CONDITION MONITORING CONCEPT FOR A 2MW GAS TURBINE” showing the performance and experiences with B&B-AGEMA Software “GTPtracker”, a centralized gas turbine fleet performance tracking and condition monitoring software tool at this years IGTC. B&B-AGEMA will attend the European Turbomachinery Conference in Stockholm, April 2017 and presents 1 publication. We look forward to meeting you in Stockholm. B&B-AGEMA GmbH has published a technical article on the newly developed F-CHT analysis to February 2017 issue of "The Thermal and Nuclear Power" Journal. The title is "Frozen-CHT Analysis of the Transient Thermal Behavior and Life Prediction of 700°C Steam Parts". The thermal behavior of a steam by-pass valve subject to cyclic operation with 700°C steam was investigated by newly developed Frozen-CHT approach. The results showed good agreement with measurement results. The approach was applied to transient thermal analysis of a high pressure turbine casing as well. B&B-AGEMA supports the SGT5-4000F User Conference this October (11.-13.10.2016) in Helsinki. At our booth near the entrance to the conference rooms, our Senior Expert, Dr.-Ing. Bernard Becker, is available for participants to discuss about technology and operation experiences of the gas turbine. Before attending B&B-AGEMA, Dr. Becker was head of Siemens gas turbine development in Mülheim. President and founder of B&B-AGEMA Prof. Dr.-Ing. Dieter Bohn is attending the special day „failure of gas turbines“ of the 10. VDI congress for stationary gas turbines in Nürnberg in November. Together with Dr. Klaus Schippers, he gives a lecture about the “design of gas turbines”, “root cause of failures”, and “measures for avoidance of failures and damage". Dr. Takao Sugimoto will present at the TENPES convention "Numerical Investigations and life assesment by Frozen CHT method of the Transient Thermal Behavior of a Steam Bypass Valve at Steam Temperatures Beyond 700 °C"
B&B-AGEMA GmbH is honoured by being accepted as a corporate member of the Gas Turbine Society of Japan (GTSJ). We are looking much forward to emphasizing our efforts on the collaborations with Japanese OEM and power plant operators. Dr. Karsten Kusterer, CEO of B&B-AGEMA, has presented at the Star Korean Conference, 15. June 2016, on "Advanced Design Capabilities for Innovative Cooling Systems of Highest-efficient Industrial Gas Turbines". 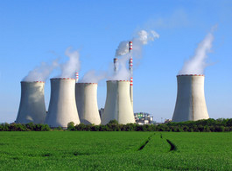 Gas turbines are of significant importance in public and industrial power and heat generation. In order to address the diversity of market demands, an industrial gas turbine system of highest efficiency in its class and enhanced operational flexibility has been developed. 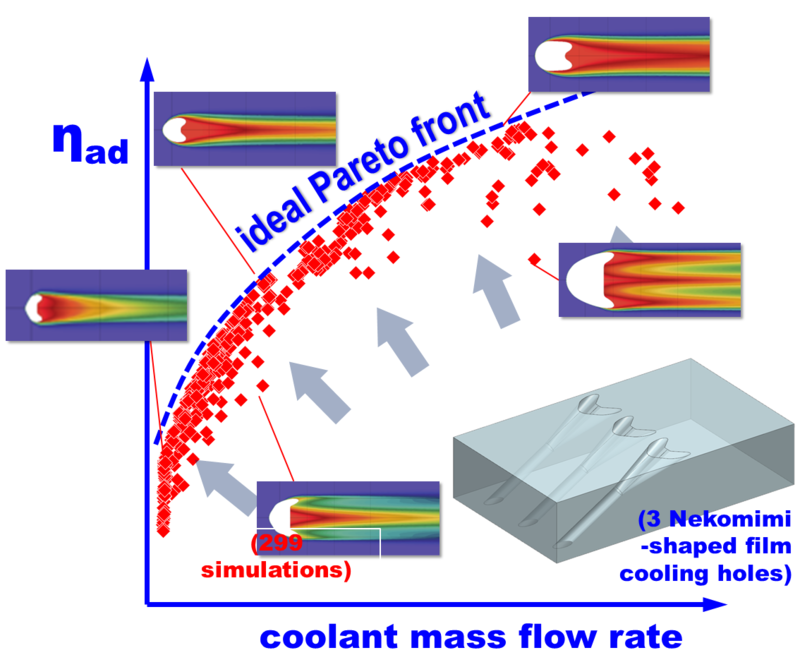 The key factor in the design process was the application of advanced cooling technologies based on modern computational simulation and analyses systems as provided within Star-CCM+. The complex cooling task is explained for the first vane nozzle of the gas turbine showing simulation results as well as measurement results from the test engine. For higher effectiveness of the film-cooling also an innovative film cooling technology has been developed. Increasing the film cooling effectiveness has been possible by innovative cooling hole geometries and the generation of so-called Anti-Counter-Rotating Vortices (ACRV), which enable the cooling air to remain close to the surface to be cooled. The design parameters of the cooling holes have a crucial impact to the film cooling effectives behind the hole. These design parameters are varied and optimized in order to show the capabilities of the technology. Since the design parameters influence each other and the composition governs the result, an automated optimization tool (Heeds/Optimate+) has been utilized. It was a great pleasure meeting you in Seoul. B&B-AGEMA attended the ISROMAC 2016. B&B-AGEMA has attended IGTC in Tokyo, Nov 15-20, 2015. We had a booth at the exhibition and three papers on the conference. It was a great pleasure to meeting you in Tokyo! B&B-AGEMA has presented 2 publications at ASME Turbo Expo in Montreal. We invite you to visit us at our joined booth with CD-adapco at the exposition. Dr. Karsten Kusterer, CEO of B&B-AGEMA, will present at the VGB conference "Gas Turbines and Operation of Gas Turbines", 06/07 May 2015 on: "Innovative Cooling and Combustion Systems for Industrial Gas Turbines of Highest Efficiency". Certificate of appreciation from Kawasaki Heavy Industries, LTD.
A certificate of appreciation has been provided to Dr. Karsten Kusterer, CEO of B&B-AGEMA by Dr. Minoru Makimura, Senior Vice President of Kawasaki Heavy Industries, LTD. for his contribution to the Kawasaki Hydrogen project. 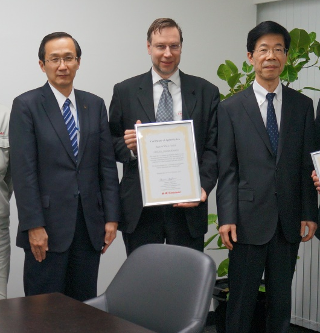 right: Dr. Minoru Makimura, Senior Vice President, Kawasaki Heavy Industries, LTD. The new version of TDT can handle splitting and mixing of fluid flows and calculate combustors with oxygen injection. Newspaper report on a cooperation with MTT und Leuven Air Bearings to develop a micro gas turbine. B&B-AGEMA will present 5 publications at ASME Turbo Expo in Düsseldorf and can be found in the exhibition at the CD-adapco booth.